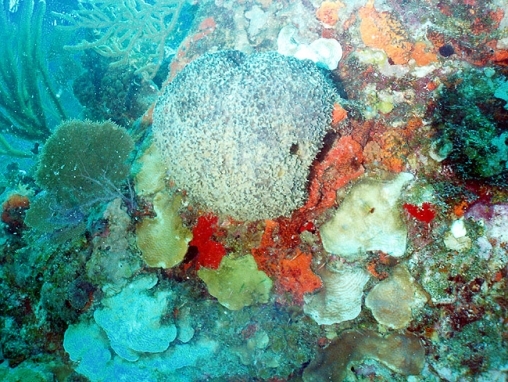 A pale grey, massive shaped sponge, resembling sponges of the genus Ircinia. Its surface is covered with small cone shaped projections, but these are more ragged and irregular than is the case for Ircinia, and there are no ridges connecting the cones. Exhalent pores are conspicuous, and fairly sparsely spread over the whole surface, not clumped into groups as they are in Ircinia.